The Rafah crossing between Egypt and the Gaza Strip – the only territory border crossing that bypasses Israel- reopened this Saturday morning, breaking a six month long closure for Palestinians and Egyptians stranded in the Gaza Strip since Egypt sealed the border with Gaza last February. This action led to a flow of some 400 Palestinian patients leaving Gaza for medical treatment in Egypt, along with 300 Egyptian citizens returning to their homeland. Today, some 700 people, both from Gaza and Egypt, will be allowed to leave the Strip through the Rafah border crossing. Amongst those 700 people are 400 patients from Gaza who will be allowed to leave on Sunday for medical treatment in Egyptian hospitals. Along with the Palestinian patients, 300 Egyptian citizens will also be allowed to leave the Strip and return to their homeland after having been stuck in Gaza since last February, when Egypt closed the Rafah crossing. In total, around 2,000 people are expected to cross the border over the weekend, said Mohamed Odwan, the spokesman of the crossings department in Gaza Strip. The crossing will be open from 8.00 A.M to 8.00 P.M today and will remain open on Sunday for the same hours. Since 8 o’clock this morning, 300 Egyptians in 6 buses were waiting to cross the border. Those Egyptians stranded in Gaza have been living in a school in Rafah for the last 6 months, while calling repeatedly on their government to reopen the border. Since June 2007, Israel has imposed a severe blockade on the Gaza Strip, carrying out an isolation policy on the Strip by restricting freedom of movement for goods and people, and allowing only limited humanitarian goods to Gaza. As a consequence of both Israeli and Egyptian travel restrictions, few Gazans are permitted to leave the Strip. Opening a crossing point in Gaza was an emergency as the health situation in the isolated territory has been worsening by the day. A total of 241 patients have died due to the Israeli siege which has emptied all hospitals from the basic medical supplies and equipment, while the patients have been barred from leaving the Gaza Strip for medical treatment elsewhere. This solidarity gesture from the Egyptian authorities occurs a couple of days after the two boats from the Free Gaza movement left the Gaza strip to go to Cyprus. The boats ‘SS Free Gaza’ and ‘SS Liberty’, filled with 47 international activists broke last week the Israeli siege on the strip by entering Gaza through territorial waters. The boats left the Gaza Strip for Cyprus on Thursday, and arrived safely today in Larnaca harbour in Cyprus, carrying with them several Palestinians who have been previously denied exit visas by the Israeli authorities. The new Palestinian members of the crew includes a 10-year-old boy who has lost his left leg from the hip down due to an Israeli tank shell explosion with aim of fitting an artificial leg in Cyprus, along with a Palestinian mother and her four children who were reunited with her Cyprus-based brother after a decade. The activists have promised to return to Gaza with another delegation soon, and they have encouraged the United Nations, the Arab League and the international community to organize similar human rights and humanitarian efforts. Today’s gesture from the Egyptian authorities to open the Rafah crossing might be interpreted as a sign that the Arab countries are also now moving to show international support to the Gazan people, challenging the ongoing siege on the Strip and, slowly, softening the living conditions of people in Gaza. "A Palestinian living in Gaza opens an archaelogical museum in the Gaza Strip to showcase the area's history. Al Jazeera's Ashraf Amritti reports from Gaza where Jawdat al-Khoudry, the museum's owner, fulfilled his dreams." Produced for Link TV by Jamal Dajani"
"Alex talks with Francis A. Boyle, professor of international law at the University of Illinois College of Law and bioweapons advisor for the Bush Senior administration about his belief the anthrax attacks were a false flag operation." Labels: Francis Boyle, Palestine, Palestine Video, Palestinian, U.S.
"Photographs of the arrival of the two Free Gaza Movement boats, SS Liberty and SS Free Gaza, at Gaza City on 23 August 2008. The boats, manned by volunteers of various nationalities and funded by public donations, succeeded in demolishing the criminal, medieval siege of Gaza's 1.5 million civilians, imposed by Israel and backed by the US, Britain and Europe, to punish the people for voting the 'wrong way' in free and fair elections." "Afshin Rattansi talks to Lauren Booth, broadcaster and journalist after the arrest of Professor Jeff Halper. Minnesota-born Halper, an Anthropology lecturer from Ben Gurion University who also chairs the Israeli Committee against House Demolitions, was among dozens of international activists who sailed from Cyprus over the weekend in an attempt to break an Israeli naval blockade of the coastal enclave. Jeff Halper, an Israeli left wing activist who sailed as a member of the ‘Free Gaza' ship to challenge Israeli blockade of the Gaza Strip was arrested by the Israeli police at the Erez Crossing this Tuesday, on his way to leave Gaza and return to Jerusalem. According to the Maariv newspaper, the police decided after deliberations to arrest the Professor who will be submitted to Ashkelon Court tomorrow morning to consider his case. The Israeli authorities accuse Halper of violating a decree banning any Israeli citizens from entering the Gaza Strip, although Jeff Halper is also holder of American citizenship. The professor spent three days in the Gaza strip after the arrival of the boat before trying to enter Israel through the Erez crossing, where the police arrested him and took him to Sderot for further interrogations. As the only Israeli citizen on board, Halper told newspapers he was expecting to be arrested and interrogated for his act of civil disobedience upon re-entering Israel. Born in Minnesota, Professor Jeff Halper is a famous Israeli peace activist, anthropology lecturer from Ben Gourion University and chairman of ICAHD – The Israeli Committee Against House Demolitions, an organization that works to block the IDF's activities in the Palestinian territories and the demolition of Palestinian homes. He was nominated for the Nobel Peace Prize in 2006 for his longtime commitment to anti-occupation and pro-peace activities. The Professor was the only Israeli among the 44 activists from 17 nations who took part in the blockade-busting project ‘Free Gaza'. The two boats ‘SS Free Gaza' and ‘SS Liberty' sailed last week from Cyprus to the Gaza Strip and reached the Palestinian coast on Saturday. By defying the Israeli blockade, the crewmembers are the first foreigners to reach the closed territory by sea since the complete closure of the Strip one year ago. Although the achievement of the ‘Free Gaza' project was uncertain due to the harsh restrictions carried out by the Israeli government, Israel finally allowed the activists to dock on the Gaza strip on the 25th of August. But what looks like a softening gesture, has more to do with avoiding public confrontation and bad media coverage for Israel, which the government recognized when allowing the ship to dock. Indeed, the international activists' project enjoyed great international coverage. “They wanted a provocation at sea, but they won't get it”, explained Foreign Ministry spokesman Aviv Sharon. To Halper, whatever was the outcome, the resistance was always worth it: "the beauty of a non-violent activity is that we win, no matter what. If we break the siege, we win, and even if they arrest us, we win, because this will expose the face of the occupation and prove that Israel is still an occupier in Gaza", he said, while interviewed early August about its expectations for that trip. Contacted after his arrival on the Palestinian prohibited ground, Harper told Haaretz: “I feel like we're fresh air entering a prison where a million and half people are living”. And when expressing his views about the Israeli public opinion -mostly unaware of the real situation on the ground in Gaza- the peace activist emphasized: "Our impression that Gaza is Hamas, that there is only hatred there, is mistaken," adding that he learned that "we are more of an obstacle to peace than the Palestinians." As the only Israeli Jew who participated in the journey, Harper holds, as a consequence, a great symbolic value for the Israeli authorities. As a matter of fact, even if Tzipi Livni, the Israeli minister of foreign affairs, allowed those specific ships to dock in Gaza, it is still certain that Israel doesn't want a copy-cat of this action in the future. The Israeli government was quoted in the Israeli newspaper Yedioth Aharonot as confirming that, “This was a one time thing,” in order to discourage any other activists from carrying out such an action. This might also be the reason why Jeff Halper has been arrested and questioned, as the Israeli authorities would like to make an example of him. In place since 2007, the Israeli blockade of Gaza has totally isolated the 1.5 million inhabitants of the Gaza Strip from the outside world, barring all but a minimum of Humanitarian aid, worsening the Gazan economy, heath and humanitarian situation as neither goods nor people are free to enter and leave the Strip. But above this, by preventing any foreigners, and moreover any Israelis to enter the Strip, Israel is also carrying a ‘blackout' policy, ensuring that Israelis will not enter the territory and will not discover the Gazan reality on the ground. By doing so, Israeli is securing its occupation policy, making sure that any Israelis will protest against it and that their journalists cannot report on it. Still, by having broken the siege once, ‘ordinary citizens' have shown that they can do something and succeed. However, it cannot yet be taken for granted that breaking the siege via sea will work again, without the kind of media attention that the Free Gaza Movement received last Saturday. Today, on the edge of the departure, the rest of the crew plans to sail back to Cyprus on Thursday, taking several Palestinians with them, including Fulbright students prevented by Israel from leaving Gaza to study abroad, and a young woman wishing to be reunited with her husband. "Sahar is the third conscientious objector, and the first woman, to be imprisoned among a new group of high school seniors, who signed a collective declaration of refusal to serve in the Israeli army of occupation, and in the work of organising which she has been very strongly involved. I have been to the occupied Palestinian territory many times, and even though I realize that the soldier at the checkpoint is not responsible for the wretched policy of the oppressor towards civilians, I am unable to relieve that soldier of responsibility for his conduct ... I mean the human responsibility of not causing another human being to suffer. The bloody times in which I live (consisting of assassinations, aggression, bombings, shootings) results in increasing numbers of victims on both sides. It is a vicious circle that emanates from the fact that both sides elect to engage in violence. This choice I refuse to take part in. A demonstration was organised to join Sahar before she goes into the Induction Base to refuse enlistment (see image on the right). Ab"
"Activits arrive in the Gaza strip to stress the plight of the people in that area. Inside story asks: Is this another failed attempt or the beginning of a process to end the siege?" 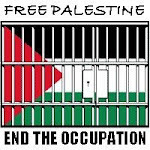 ::..Free Gaza..:: "Videos from the Boats Arriving in Gaza"
Below are some videos of the two boats arriving in Gaza. You need QuickTime to watch them. "Two boats carrying 44 Human rights and peace activists have finally arrived in the besieged Gaza. On their arrival the pro palestinian activists were met by 1000's of people streaming into the harbor to welcome the voyagers who spent 30 hours at sea from Cyprus to Gaza, the activists expressed their happiness"
"Ni'ilin [Ni'lin] protest against the separation wall and against land theft on August 21 2008"
As I write these words, two boats with some 46 peace activists from many nationalities onboard are sailing from Cyprus to the Gaza Strip in a symbolic effort to break Israel’s cruel blockade of the coastal Palestinian territory. The Free Gaza Movement, the organizer of the bold mission, includes people from various religious and cultural backgrounds who are united in their dedication to the cause of freedom for the estimated 1.5 million Gazans, thoroughly tormented by a nearly hermetic blockade that has effectively reduced the originally impoverished enclave to a virtual concentration camp. Among the people taking part in this brave endeavor are an 81-year-old Catholic nun and the sister of former British Prime Minister Tony Blair as well as Muslim, Jewish and Christian activists. If all goes well, the two boats, SS Liberty and “Free Gaza” will deliver urgently-needed medicine and other humanitarian aid to the children of Gaza. Hundreds of Gaza children and other civilians have died due to the acute shortage of medicine and food resulting from the year-long siege. Israel, which is obviously embarrassed by the publicity surrounding the humanitarian mission, has threatened to violently prevent the two boats from reaching Gaza. Some Israeli officials have even hinted at the possibility of using violence against the two boats. Israel has not stopped telling the world that it no longer occupies Gaza. However, this claim is obviously a scandalous lie since the Israeli occupation continues to exercise tight control over the Gaza Strip’s sea, air and border crossings. There is no doubt that the continuation of the Gaza siege is a stigma of shame on the conscience of humanity as a whole. It is a stigma of shame upon the United States which shamelessly conspires with Israel to savage and torment these innocent Palestinians whose only “crime” is their audacity to elect a government that rulers of Tel Aviv and Washington don’t like. It is also a stigma of shame upon the states of Europe who are watching passively a predator state gang up on helpless civilians very much like the Nazi Third Reich did nearly seven decades ago. But the greatest shame falls upon Arab countries, especially Egypt, which is effectively complementing the Israeli siege of the shut-in Gazans by refusing to open the Rafah border crossing to allow them to buy food and medicine as well as travel abroad. I really can’t understand how we, Arabs and Muslims, can blame Israel, a cruel and criminal state that would like to see Palestinians wiped off from the face of earth, while a so-called brotherly Arab country is closing the borders in the face of thousands of desperate Palestinians seeking urgently needed health care. Indeed, I want to ask the Egyptian leadership how many Palestinians must die before Egypt will listen to the helpless cries of the starving and dying Gazans?. Shame on you. To these brave men and women onboard “SS Liberty” and “Free Gaza”, I would like to say the following. I salute you for your courage, humanness and self-abnegation. You undoubtedly represent a point of light in a world overwhelmed by darkness. Your selfless efforts on behalf of the oppressed men, women and children of Gaza show that there are still brave men and women in this world who wouldn’t give in to brut power. I salute that elderly nun, Anne Montgomery, of the religious Order of the Sacred Heart, for her brave determination to take part in this challenging and dangerous mission, despite her old age. I salute broadcaster and journalist Lauren Booth for demonstrating that journalism is not a “morally neutral job” and that true journalists must also be true human beings who should take a pro-active stance for justice. I salute Jeff Halper the Professor of Anthropology and Coordinator of the Israeli Committee Against House Demolitions (ICHAD) who by taking part in this sublime endeavor is making an important statement, namely that there are Jews in this world who don’t support Israel’s Nazi-like repression of the Palestinian people and that starving and savaging innocent civilians for political reasons is incompatible with true Jewish morality. I salute Greek MP Tasos Kourakis who has voiced a determination “to break the wall of silence surrounding Gaza” by exposing the scandalous siege of a people Israel is trying to crush for wanting to be free. I salute Dr. Paul Larudee, a co-founder of the Free Gaza mission for his fearless, unflinching determination to carry out this daunting task despite all the threats and intimidation coming from Israel. I salute Yvonne Ridley, TV Presenter, author and peace activist, for her tireless dedication to the cause of justice in Palestine, Afghanistan and around the world. I salute all of you, one by one, for your moral commitment on behalf of humanity. "Activists from the Free Gaza Movement on SS Free Gaza Boat sailing to break the inhumane Israeli siege on Gaza and to deliver hearing aids." "Two converted fishing boats set sail from Cyprus today carrying more than forty activists and humanitarian workers who are part of the Free Gaza movement that is trying to break the Israeli blockade on the Gaza Strip. The Israeli foreign ministry said in an open letter to the participants, “We assume that your intentions are good but, in fact, the result of your action is that you are supporting the regime of a terrorist organization in Gaza.” We speak with three of the activists at sea: Huwaida Arraf, co-founder of the International Solidarity Movement; Lauren Booth, a journalist and sister-in-law of former British Prime Minister Tony Blair; and Israeli anthropology professor Jeff Halper of the Israeli Committee Against House Demolitions." The interview with Huwaida Arraf is at the beginning of the show, the interview with Jeff Halper and Lauren Booth is at 30:40 of the show. "Despite the 2-month long Egyptian brokered truce between Israel and Hamas ruled Gaza, access to medical treatment has not improved; more terminally ill patients are still suffering from kidney failure and cancer and slowly dying in hospitals due to the sever lack of medicines and medical equipment. meanwhile,The Palestinian-International committee against siege said that the Israeli threats of useing force to prevent the 2 free Gaza and liberty boats brining medicines will not scare away the 40 human rights and peace activities onboard"
"One story of life in Gaza, a story of innocent civilians living under a medieval siege imposed by Israel and backed by the USA and Europe." "The Middle East is in the grip of a drought. In Israel, it's just beginning to have an impact, but just a few miles away in the occupied West Bank, the crisis is much more acute. 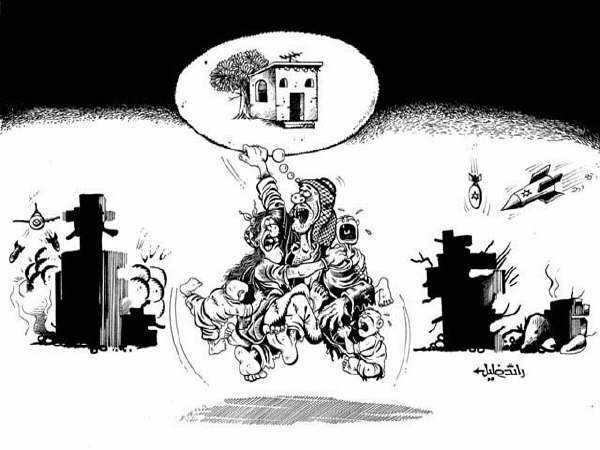 Nour Odeh examines the situation in the village of Saffarin, near Tulkarem." "This is an edited clip from the documentary 'Slippage' by Ali Cherri and the Lebanese Association for Plastic Arts, Ashkal Alwan. This clip shows the destruction of war on Lebanon from Israel in 2006 and how many left over unexploded bombs exist in Lebanon after the Israeli attack." "Afshin Rattansi talks to Press TV's correspondent in Ramallah about the Israeli shutdown of radio stations ahead of Condoleeza Rice's trip." "Israel's year-long blockade on Gaza has led to high unemployment and inflation rates in the territory. Just before the start of the new school year, many families are scrambling to buy basic items such as uniforms and notebooks for their children. But as Ashraf Amritti reports, they are luxuries many Palestinians simply cannot afford." "while the ongoing fuel crisis is taking its toll on Gazans despite truce deal brokerd by Egypt between Israel and Hamas that went into effect on june 19th, a Scottish van carrying 1.5 tons of medicines donated by the Scottish people to Gaza is on its way back to Scotland after the Egyptian authorities in Rafah denied it entry to besieged Gaza after 27 days of waiting"
"Dr. Bill describes ongoing human made humanitarian crisis in Gaza Strip & need for breaking the Israeli siege on Gaza"
"Settler violence in Hebron continued over the weekend. The following footage shows minors throwing stones at Palestinian homes and at a car driven by international TIPH observers, as well as soldiers barring B'Tselem worker, Issa 'Amro, from filming settlers who were assaulting a group of wedding guests. When a settler attacked 'Amro and broke his camera, the soldiers stood by and did nothing. "Filmed in Boulder, Colorado on 4-28-08 Palestinian author and editor of http://www.palestinechronicle.com/ talks about the sealing off of Gaza, Palestine by Israel and its affects on civilians. He also discusses the motivations for suicide attacks and the greater political context missing in most reports about Palestine." "In mid-August 2008 Atta harvests tomatoes and reflects on the day ten years ago when the Israeli military demolished his home and tried to make him leave the land where he was born. Even on the day CPT visited him the Israeli military demanded he remove the tarp structure that sheltered the tomatoes he hoped to sell by the roadside." "A tribute to honour the memory of Mahmoud Darwish, Palestinian National Poet. Created by Sonja Karkar for Women for Palestine and Australians for Palestine using music and lyrics written and performed by Rima Nasir Tarazi and sung by Tania Tamari Nasir from their album 'Until When - Songs from Palestine', calligraphy by Josh Berer, 'A Nomad out of Time' and paintings by Ismail Shammout, Dora McPhee and Nasri Zacharia." The translation appears in small letters on the screen, use full screen mode. "Demonstration on land of the village of Bil'in in Palestine against the separation barrier and against land theft on Friday August 15 2008"
"Ni'lin protest against the separation barrier and against land theft August 14 2008"
"On 23rd July 2008, the women of the village of Ni'lin held their first ever women-only demonstration against the Separation Wall in Ni'lin. Includes interview with demonstration organiser Rema Khawaja." "Ramzi supports Free Gaza Movement boats to end the siege, collective punishment of 1.5 million Palestinians in Gaza"
"Johnny from Ireland, living in England sending basketballs to Gaza children on break the siege boats." "Ren before sailing on Free Gaza Movement boat"
"Fathi from UK/Tunisia on Free Gaza Movement boat to break the siege on Gaza"
"NYTimes.com - Palestinian author Raja Shehadeh looks back on years of walks in the hills of the West Bank reflecting on physical and political changes." "Less than six months after the Israeli military raided orphanages and schools in Hebron, the Palestinian Authority followed suit in nearby villages. Christian Peacemaker Teams(CPT) visited the orphanage in Beit Ummar a few days after the PA raided it in August 2008." Please visit The Free Gaza Movement site for further information, news, photos, links, videos and much needed support to the Movement. "Mahmoud Darwish composed his first poem at the age of 12, going on to publish more than 20 volumes of poetry throughout his lifetime, penning verse that became embedded into the Palestinian consciousness. He lived a life of resistance, jailed several times by the Israelis." "Fida Qishta, a film-maker in Gaza, conducts interview with Dr Mona El-Farra of the Palestinian Red Crescent Sciety for the Gaza Strip who talks about her hopes regarding the Free Gaza Movement sailing to break the siege of Gaza"
"We call upon you in the name of Arab nationalism, in the name of Islam and as your neighbors, to immediately open this Palestinian Egyptian Border Crossing to our besieged nation and the ill amongst us"
"Greta Berlin, one of the founders of the Free Gaza Project interview"
Ali Abunimah: Outside powers arm and train militias to take on Hamas"
"A report in Al Jazeera about PHR-Israel's new report published on August 4, 2008: 'Holding Health to Ransom: GSS Interrogation and Extortion of Palestinian Patients at Erez Crossing'. Testimonies in the report reveal: GSS (Shabac) demands cooperation as a precondition for exiting Gaza for medical care In defiance of the UN Convention Against Torture, the GSS is attempting to systematically use sick patients as informers. Ministry of Health warns of the increasing number of deaths among patients due to the siege. The Palestinian Ministry of Health in the Gaza Strip warned on Sunday of the increasing number of mortalities among the patients in the Gaza Strip due to the ongoing Israeli siege and Israel’s rejection to allow the patients to receive medical treatment in Israel and abroad. The ministry stated that the health stores of the ministry ran out of medications and supplies, and called on the international community to intervene and save the patients of the Gaza Strip. In a press release issued on Sunday, the ministry said that twelve patients, including six women and one child, died since the beginning of August. The death of the twelve patients rises the number of patients who died since the beginning of the siege to 243, 42 of them died since the beginning of the recent truce between Israel and resistance factions in Gaza. The truce started on June 19, 2008. The ministry called on the World Health Organization (WHO), the Red Cross, and all human rights groups in addition to the International Community to intervene and oblige Israel to lift its illegal siege. It added that the practices of the Israeli occupation constitute War Crimes and should be added to the “international terrorism list”. The ministry also called for prosecuting Israel for war crimes against all Palestinians. The siege entered its fourteenth month leaving 234 patients dead and hundreds more will face the same fate if the siege is not lifted. "Mahmoud Darwish, The award-winning Palestinian poet, has died aged 67, after heart surgery in a Texas hospital. Al Jazeera's Jacky Rowland takes a look at a man who widely loved man by Palestinians and poetry-lovers alike." "Palestinians waiting impatiently for Free Gaza boats"
Also lives in Canada part time"
"Afshin Rattansi interviews Lauren Booth in the Greek Islands as she and other activists try to stop the collective punishment of Gaza." to be on the boat to Gaza"
"Part one of press conference"
"passenger on boat to Gaza, Kathleen"
"Three passangers talk about boat to Gaza"
"The Gaza Strip, home to 1.5 Million Palestinians, the largest out door prison in the world. Break the Siege, Free Gaza. "Foul-smelling liquid sprayed on demonstrators at Bil'in Friday 8.8.2008 protest against land theft and against the separation barrier"
Today,8 August 2008, after the Friday Prayers, the inhabitants of Bil’in, Israeli, and international peace activists participated in a demonstration against the wall. They raised Palestinian flags and signs with slogans that condemn the policies of the occupation. The slogans condemned the construction of the wall, the confiscation of Palestinian lands for the construction of settlements, the road closures, and the seizure of Palestinian villages, towns, and cities. The protesters also carried signs with slogans against the killing of innocent civilians, especially children. In addition, the slogans condemned the attacks on detainees, in particular, shooting at them while detained, hand cuffed and blindfolded. The protest started from the centre of the village, and the protesters chanted similar slogans in addition to those that called for national unity. Upon arrival to the wall, the protesters while raising photos of the murdered children, Ahmed Husam Yousef Musa and Yousef Ahmed Amera, attempted to cross the wall in to their land. The action was a symbol of protest against the monstrous violations that Israeli soldiers commit against Palestinian civilians. Israeli soldiers murdered Ahmed 10 days ago, 29 July 2008, and Yousef 3 days ago, 4 August 2008 - both while participating in non-violent protests against the construction of the segregation wall in Ni’lin. The people of Bil’in submitted a petition to the Israeli Supreme Court in 2005, hoping to prevent the Israeli occupation army from confiscating their lands. The confiscated lands would be used to build the segregation wall and further annex the remaining of the land in favor of constructing the illegal settlement, ‘East Matityahu’. On July 2007, the Israeli Supreme Court decreed the illegitimacy of constructing the wall on Bil’in’s lands, and further ordered the government to propose a different track of the wall without harming the nature of the village. A year after the ruling, and because the Israeli government did not act in accordance with the ruling, the people of Bil’in through their advocate, Michael Sfard, decided to return to the Supreme Court. The Israeli government further continues the same policy without acknowledging the Supreme Courts ruling. The Shin Bet (Israel Security Agency) is the arbiter of life and death for gravely ill Palestinians living in the Gaza Strip, the NGO Physicians for Human Rights charged in an 83-page report released early Monday morning." Will next Israeli leader attack Iran? "After Olmert decision to step down, candidates for Israeli PM leave 'all options on the table' on Iran"
"Ni'ilin protest 7.8.2008 against the theft of lands and the separation barrier"
Rock-throwing 'terrorists' or just 'hostages'? "When 16 year-old Rabiha heard that the Israeli military threatened to close the schools and orphanages funded by the Islamic Charitable Society (ICS) she decided to speak out. Rabiha is a tenth grader at the school. She was a student in Houston, Texas from Kindergarten to ninth grade. Rabiha will begin 11th grade August 24. The Israeli high court will rule on the future of her school in late October." "Today's demonstration in Nil'in managed to get to the bulldozers and stopped them for about 30 minutes. In the process, 2 demonstrators were arrested: an Israeli and and a Palestinian. The two have already been detained and the police decide to arrest them. A bit more than an hour ago, an international activist was arrested when the soldiers entered the village. It seems that they will be taken to the police station. A kid was also injured when he was physically beaten up by a soldier. That is the only injury that we know of so far." Israel's secret police are pressuring Palestinians in Gaza to spy on their community in exchange for urgent medical treatment." 'The Return of the Bicycle,' Future TV, Lebanon. "A short documentary about Ush Ghrab site in Beit Sahour near Bethlehem in Palestine, which was an Israeli military base evacuated in 2006. Israeli settlers are trying to re-occupy the site, and Palestinian and international peace activists are trying to protect the land to allow space for a children hospital to be built on the site." Please visit FreeGaza.org for further information, news, photos, links, videos, endorsement and much needed support to the Movement. Direct source of most of these videos is the YouTube channel Gazaboat. "short interview with passenger - Huwaida Arraf"
"Adam from Denmark talks about why he is on the boat to break the siege Free Gaza.Org"
"Gaza Passenger Donna on experience in Israel -Palestine"
"Micheal Prior interviewed -why on boat to Gaza"
"Theresa interview on why going to Gaza"
"interview with activist nun Ann prior to sailing"